"Watch out for the mermaids – the Sea Witch is on the move!" 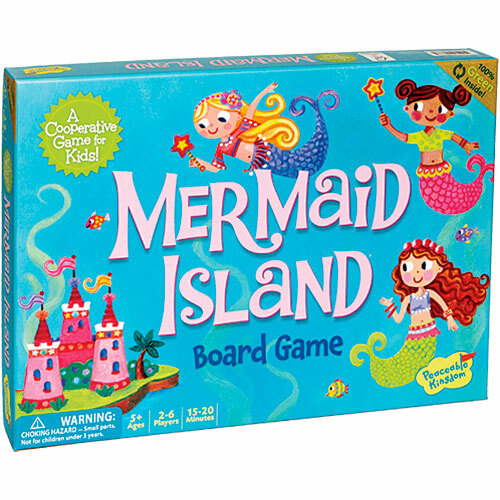 In this cooperative board game, players work together to help the mermaids swim to Mermaid Island before the Sea Witch gets there. Players decide together when to use the wands and which mermaids to move to keep the mermaids going. 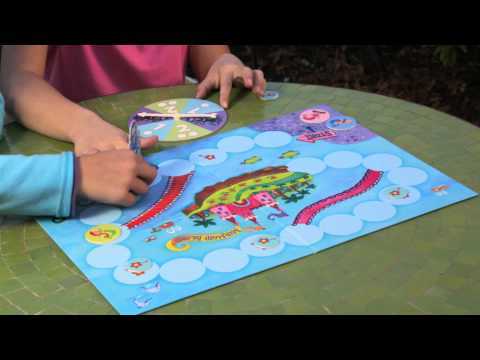 Looks deceptively simple, but is a lively and strategic game of chase! 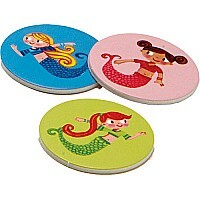 For 2-6 players.